In a letter dated July 10, 1973, Prime Minister Sirima Bandaranaike has appealed directly to President Richard Nixon for PL 480 Wheat flour shipments to meet desperate food shortage facing Sri Lanka during last three months of 1973. 1. BECAUSE OF POSSSJILITY SRI LANKA EMBASSY WASHINGTON HAS NOT YET DELIVERED LETTER OF 10 JULY FROM PM BANDARANAIKE TO PRESIDENT NIXON, WE ARE TRANSMITTING TEXT (COPY GIVEN AMB AT MEETING WITH PM MORNING 16 JULY — SEPTEL). 2. QUOTE: MY DEAR PRESIDENT, YOU WOULD RECALL MY WRITING TO YOU IN JAN THIS YEAR SEEKING THE SUPPORT OF YOUR GOVERN- MENT FOR CONVENING THE 9TH MEETING OF THE AID-GROUP FOR SRI LANKA AND REQUESTING THE GOVERNMENT OF THE UNITED STATES OF AMERICAN TO MAKE A SUBSTANTIAL PLEDGE OF ASSISTANCE. I WISH TO EXPRESS OUR APPRECIATION OF THE EFFECTIVE SUPPORT EX-TENDED BY YOUR GOVERNMENT AND FOR THE PLEDGE OF FOOD ASSISTANCE MADE BY THE UNITED STATES DELEGATION AT THE AID-GROUP MEETING. WE WERE HOPING THAT THE SUPPLY OF WHEAT FLOUR UNDER PUBLIC LAW 480 WOULD BE MADE AVAILABLE AT AN EARLY DATE. MY GOVERNMENT WAS ADVISED THAT DUE TO CERTAIN FISCAL AND SUPPLY PROBLEMS, OUR REQUEST FOR ASSISTANCE WOULD NOT BE CONSIDERED UNTIL THE COMMENCEMENT OF THE US FISCAL YEAR 1974. MEANWHILE,THE FOOD SITUATION IN SRI LANKA HAS BEEN AGGRAVATED BY THE SEVERE DROUGHT. COMPARED TO THE TARGET SET FOR THE RICE HARVEST IN 1973, THE LATEST ESTIMATES INDICATE A SHORTFALL OF OVER 30 PERCENT. THE MAGNITUDE OF THE DROUGHT IS ALSO SEEN FROM THE FACT THAT THE POWER SUPPLY IN THIS COUNTRY, WHICH IS LARGELY HYDRO-GENERATED, HAD TO BE RESTRICTED FOR THE FIRST TIME IN 40 YEARS. MY GOVERNMENT HAS INTENSIFIED ITS EFFORTS TO INCREASE RICE PRODUCTION IN THE COMING YEAR, AND, AT THE SAME TIME, EFFORTS ARE BEING MADE TO GROW SUSTITUTE FOOD GRAINS AND YAMS. THE SUCCESS OF THESE EFFORTS HOWEVER, WOULD, TO A LARGE EXTENT, DEPEND ON SATISFACTORY WEATHER CONDITIONS. THE DRIVE TO GROW SUBSTITUTE FOOD GRAINS WOULD ONLY HAVE A MINIMAL IMPACT IN THE COMING YEAR. THUS, IF WE ARE TO KEEP THE POPULATION FED AT EVEN SUBSISTENCE LEVELS, THE IMPORT OF MINIMUM QUANTITIES OF RICE AND FLOUR WILL BECOME VERY NECESSARY. AS YOU ARE AWARE, THE PRICE OF FOOD GRAINS HAS RISES CONSIDERABLY IN THE WORLD MARKET. EVEN AT ENHANCED PRICES, SUPPLIES OF RICE ARE NOT AVAILABLE FOR IMPORT IN ANY SUBSTANTIAL QUANTITY. IT IS IN THIS CONTEXT THAT THE NEED FOR WHEAT FLOUR BECOMES AN URGENT NECESSITY. IN RELATION TO OUR MOUNTING DEBT SERVICES BURDEN AND OUR CURRENT BALANCE OF PAYMENT DIFFICULTIES IT IS NECESSARY THATTHESE IMPORTS BE MADE ON EASY FINAN- CIAL TERMS SUCH AS THOSE OFFERED ON PL 480. FOR US IN REGARD TO CEREAL SUPPLIES. AS WE ARE NOT IN A POSITION TO MAKE PURCHASES ON COMMERCIAL TERMS, ANY DELAY OR POSTPONEMENT OF THE PL 480 ASSISTANCE PLEDGED AT THE LAST MEETING OF THE AID-GROUP WOULD HAVE SERIOUS SOCIAL AND POLITICAL CONSEQUENCES. I SHALL BE GRATEFUL IF YOU WOULD INSTRUCT YOUR OFFICIALS TO GIVE SPECIAL CONSIDERATION TO SRI LANKA’S CASE SO THAT EARLY SHIPMENTS OF WHEAT FLOOR UNDER PL 480 COULD BE EFFECTED. 1. FOR OTTAWA: PLEASE PASS THE TEXT OF FOLLOWING LETTER FROM PRESIDENT TO PRIME MINISTER BANDARANAIKE. PRIME MINISTER CURRENTLY ATTENDING COMMONWEALTH CONFERENCE. 2. 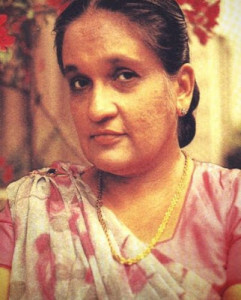 QUOTE: AUGUST 3, 1973: DEAR MADAME PRIME MINISTER: YOUR LETTER OF JULY 10 WAS A VERY PERSUASIVE DESCRIPTION OF SRI LANKA’S URGENT NEED FOR FOOD ASSISTANCE. YOU CAN BE SURE THAT WE APPRECIATE THE PROBLEMS YOU FACE IN THIS AREA AND WILL TRY TO BE AS RESPONSIVE AS WE CAN. SINCE WE ARE NOT IN A POSITION TO PROVIDE A PRECISE ANSWER JUST YET, I WANT YOU TO HAVE THIS PROMPT EXPLANATION OF HOW YOUR GOVERNMENT’S REQUEST IS BEING HANDLED. YOUR LETTER RECALLS THE FEBRUARY AID GROUP MEETING, AT WHICH THE U.S. REPRESENTATIVE EXPRESSED OUR HOPE THAT WE WOULD BE ABLE TO PROVIDE DOLS 15-18 MILLION WORTH OF WHEAT FLOUR TO SRI LANKA UNDER TITLE I OF PUBLIC LAW 480. AS YOU KNOW, THE INTERVENING MONTHS HAVE SEEN VERY SERIOUS QUESTIONS OF FOOD AVAILABILITY DEVELOP ON A WORLDWIDE BASIS, GREATLY COMPLICATING OUR TASKS IN MAKING ALLOCATIONS UNDER PL 480. THESE MATTERS ARE CURRENTLY UNDER VERY ACTIVE EXAMINATION WITHIN OUR GOVERNMENT. OUR AMBASSADOR WILL KEEP IN CLOSE CONTACT WITH YOUR GOVERNMENT AS THIS PROCESS CONTINUES. MEANWHILE, YOU MAY BE SURE THAT WE WANT TO BE AS HELPFUL AS WE CAN AND THAT THE POINTS RAISED IN YOUR LETTER WILL BE TAKEN CAREFULLY INTO ACCOUNT. WITH WARM PERSONAL REGARDS, SINCERELY, RICHARD NIXON.